The environment and everything surrounding us is becoming more and more important. Best things in life are free, but that doesn't mean we have to take them for granted right? Look at the polluted air and environment around us nowadays, sometimes I think these are what making us fall sick or even worse, mutation of human genetics. 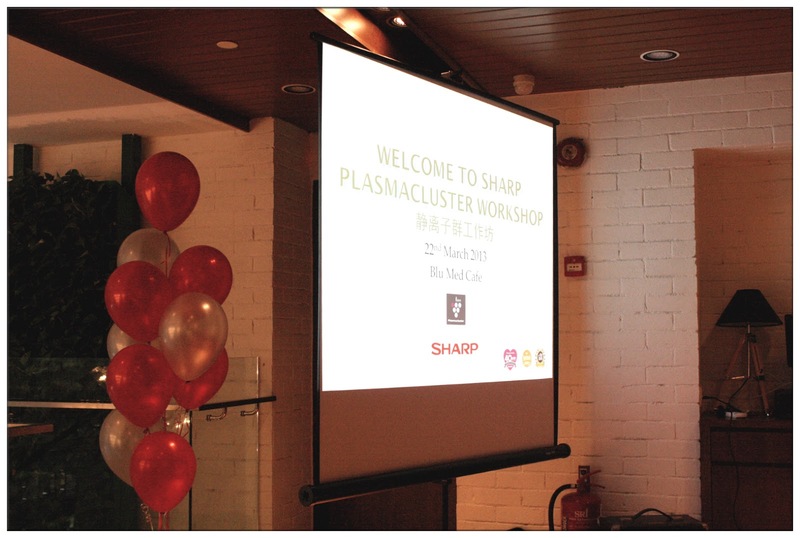 I am glad that I was invited to SHARP's Plasmacluster workshop by Nuffnang which was held at Blue Med Restaurant, MidValley. That's where I learned that how a ion plasmacluster exclusively from SHARP can change our environment that benefit us and our health. This is why they are the hot selling ion plasmacluster manufacturer that have so many users under the brand SHARP. I'm going to show you briefly, what I managed to learn about Ion plasmacluster and SHARP that afternoon. 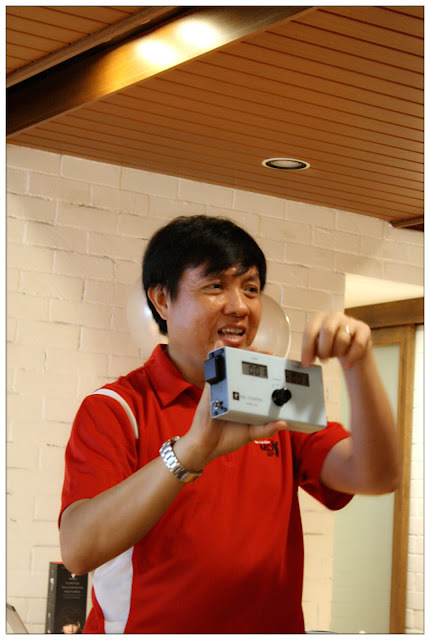 This is the speaker of the workshop - Mr. Chew. He's kinda funny you know. 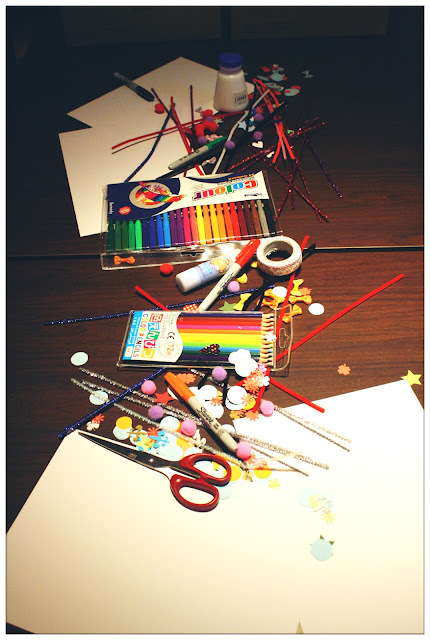 The beginning of the workshop is kinda like, you know, all the statistic and scientific names of bacterias and chemistry/physics and all, so I can't really remembered + since this happened quite some time ago. 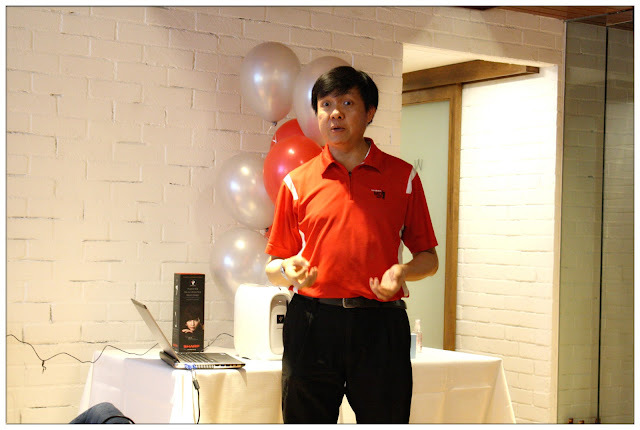 All I do know is SHARP ion generator/ air purifier can eliminates virus and bacteria at every corner. Air sampler, to test how much ion there is in the air. Air is something we breather into our body, but because it is transparent, we can't really differentiate good air and bad air, right? (Okay unless it smells bad la of course) We breathe the air into our lungs when there are millions and millions of virus and bacterias in it, so how do we filter all these virus and bacterias in the air? Yes, by purifying the air. SHARP Ion Plasmascluster Air Purifier/ Ion Generator generates thousands and thousands of ions and release them into the air and destroy the viruses and bacterias. The ions that the air purifier generates are same as the ions that are release in the woods, in the forests - The positive and negative ions together, that's what the nature provides us too. Here something that's been on my mind: How do these positive and negative ions that are released from the air purifier able to kill the viruses or what's harming our body in the air? Just like us, the viruses and bacterias need water to survive, and the ion form hydroxide (OH) radicals adhere to the surfaces of viruses and mold and the OH radicals instantly remove the hydrogen from them, breaking them down. These results are tested and have been proven effected at Hiroshima University Graduate School of Advanced Sciences of Matter. Not just viruses, even suspended mold can be remove as well with the High-Density Plasmacluster Ion generator. The test was witnessed by all of us, performed by Mr. Chew. If you're living in some place with very little air circulation, you cook or you have a neighbour who loves to cook curry or some delicious food with strong aroma, no doubt there'll be odors clinging in the air, and it doesn't really smells good because the odor just won't go away. 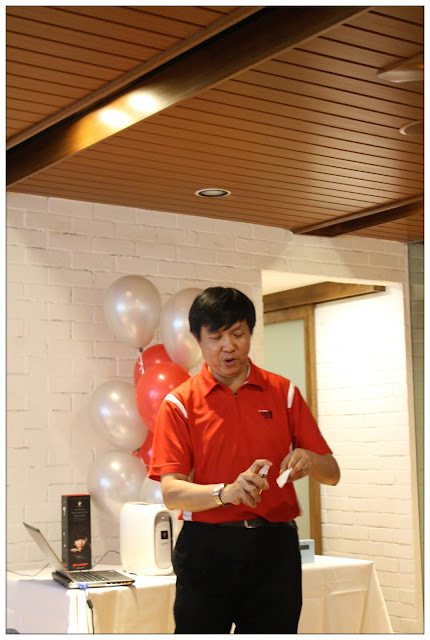 In this case, Mr. Chew proved to us that SHARP's Ion Plasmacluster Air Purifier can removed the odor in just seconds. Spraying ammonia on the cotton. Feels bad for this fella, he has to smell that piece of cotton to ensure the smell is there. And just by holding the cotton near to the Forward Ion Dispersal, the smell gone in just seconds. And so does the 40million SHARP users, they are impressed by what goodness SHARP brings to their life. SHARP has designed the Plasmacluster Ion Generator for our everyday use. 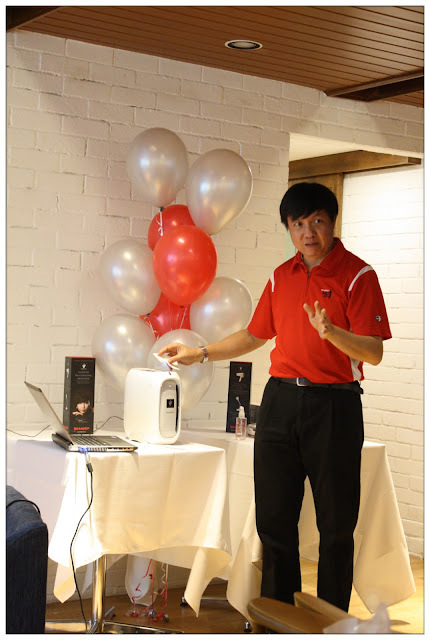 No matter where you are, whether you're in your car driving, at your kitchen cooking, taking public transportation or even, like me, facing the computer at home or at office, there is always this suitable Plasmacluster Ion Generator that suits the place and lifestyle you're living. And did I tell you that the Ion can actually boost up the beauty in you? 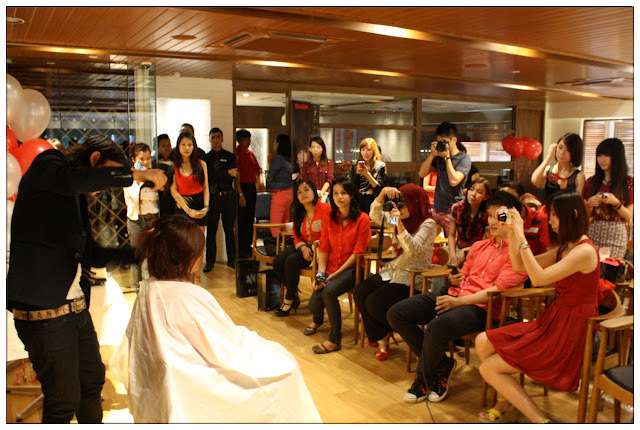 There's a range of Plasmacluster Beauty Care from SHARP that caters for those "beautynista" like me. 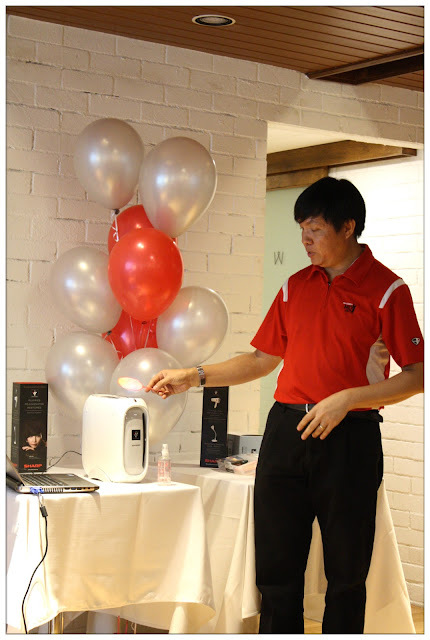 Steve from the famous Japanese hair salon Number76 was invited to demo how SHARP Ion Hair Conditioning Dryer. Just like how we do it, Steve does the hair drying by fingers. Magic fingers he said. lol. 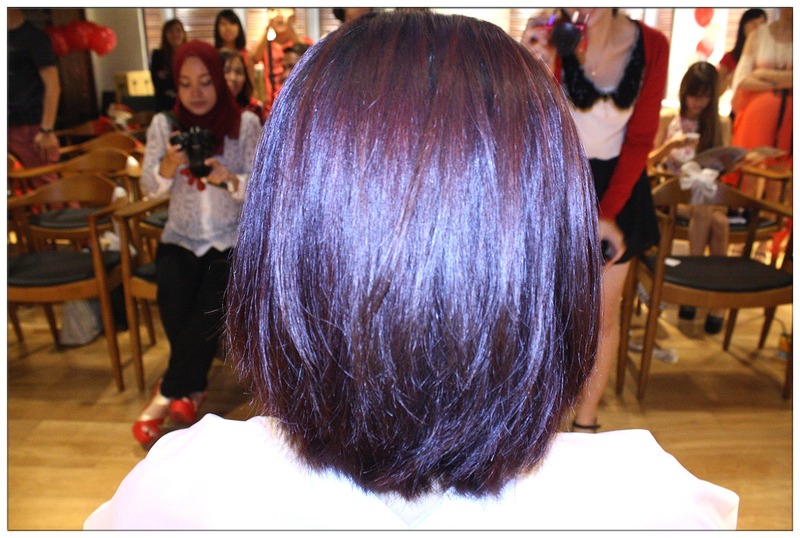 Hair at the right side were more smooth and shiny looking compare to the left ones. 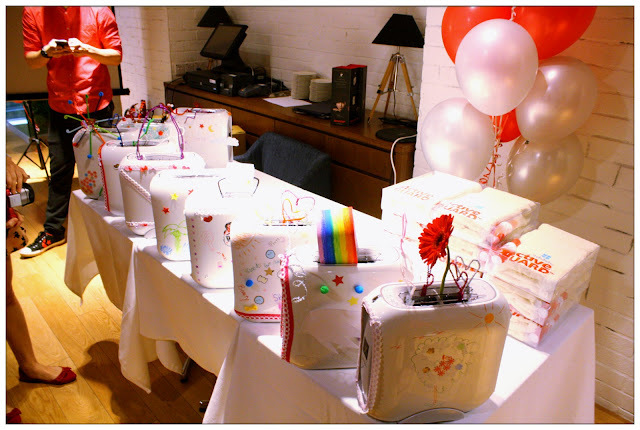 The SHARP Hair Conditioning Dryer prevents hair damage by controlling Static Electricity. Prevents tangling so brushes and fingers can run through hair smoothly. 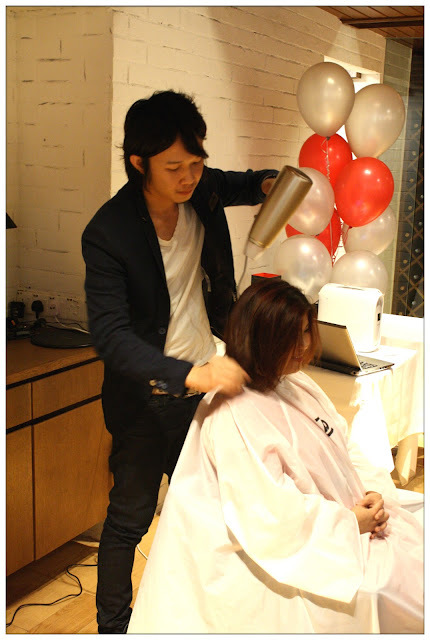 Cheesie get her hair dried using the SHARP Hair Conditioning Dryer too. In fact, guests can get their hair blow straight by Steve during the event. Yay! 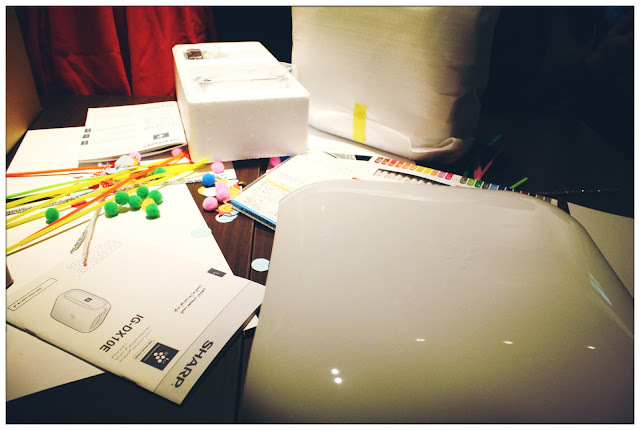 Stuff we get to used to decorate the Air Purifier. All I need now is some creative ideas and inspiration. Look at them unique and colourful Air Purifier. 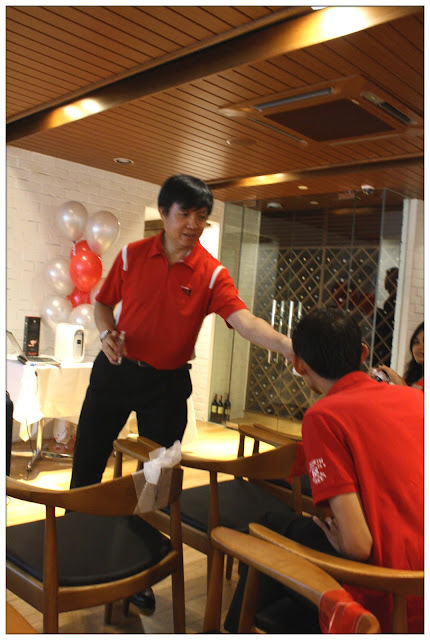 Initially, there's only ONE winner for this competition, but Mr.Chew and the rest of the team members from SHARP Malaysia had a hard time deciding who will be the winner, so... EVERYBODY GETS A SHARP PLASMACLUSTER ION AIR PURIFIER!!! Wooohooo~! Such a generous company, seriously this is my first time encounter this and everybody is the winner. Everybody is happy. Yayy!!! 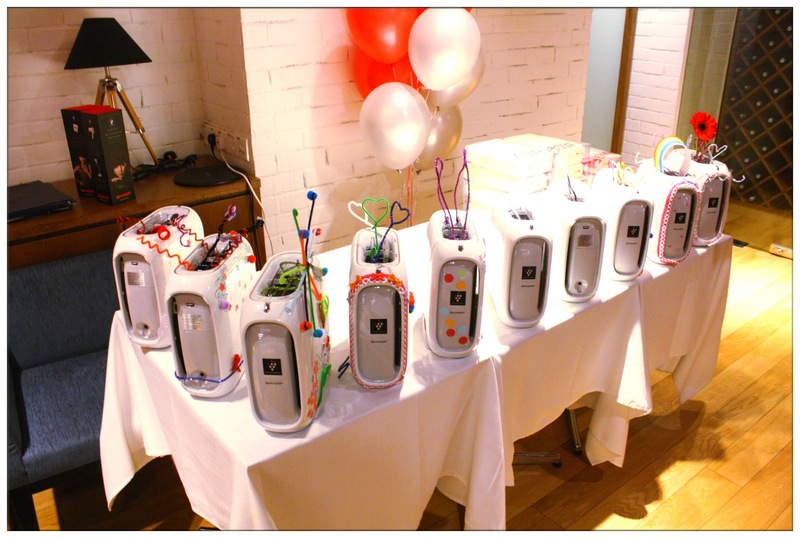 Since this event happened quite some time ago, I've been using the air purifier all these while and I will say, it works amazingly as my room is quite stuffy usually, but now, with this air purifier, feels the air is fresher. No any odors of curry as my neighbor got the awesome skill of cooking curry or belacan early in the morning, clinging odors in the air is one of my biggest headache. 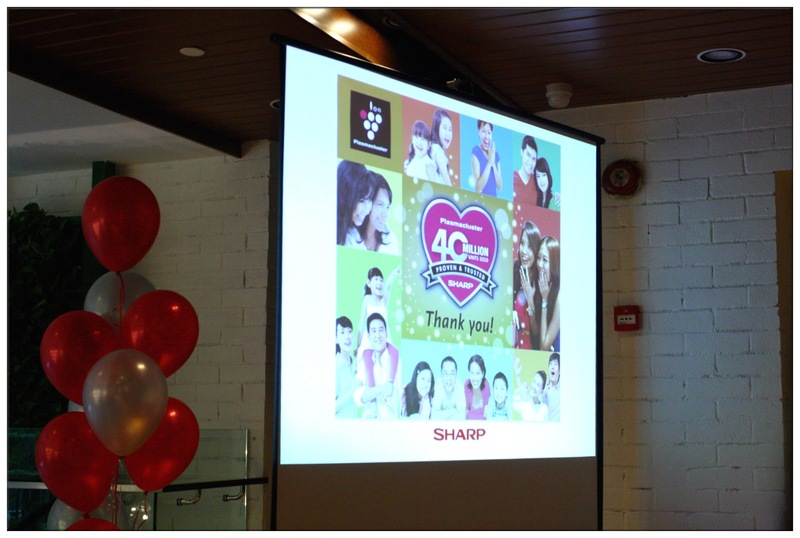 Thanks to SHARP Malaysia for your generosity. 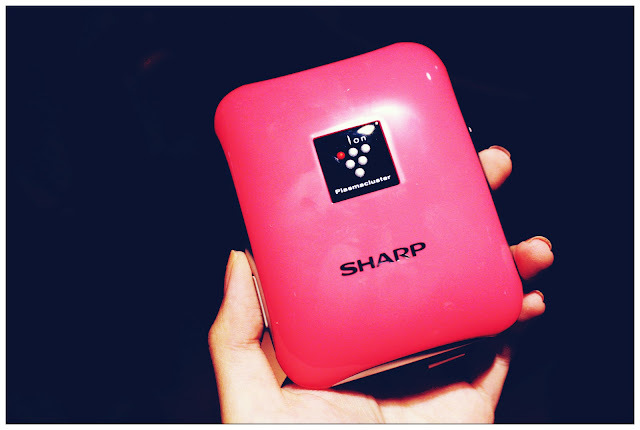 Fill the air with love with SHARP's Plasmacluster Ion Generator Today.